Mahanth Yogi Adityanath was born as Ajay Singh in June 1972. He is a priest and an Indian Politician actively involved in BhartiyaJanta Party (BJP). 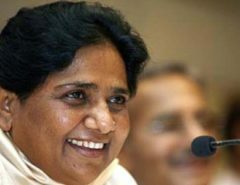 He is a member of parliament who has represented Gorakhpur in LokSabha since 1998. He is the head priest (commonly called ‘Mahanth’) in a Hindu Temple named Gorakhnath Mutt. He has also formed a group called Hindu YuvaVahini which works to protect social, cultural and religious rights of Hindu community at thenational level. Mahanth Yogi Adityanath belongs to Rajput Family. He is interested in playing badminton and swimming. Apart from these, he is interested in doing gardening, singing bhajans, touring religious spots, etc. He is basically a priest in the Gorakhnath Temple. But he is actively involved in the politics being a key member of BJP. For the first time in 1998, he was elected to be the member of 12thLokSabha at a very young age of 26 years old. Immediately thereafter, he became the member of Committee on Food, Civil Supplies, Consultative Committee, Ministry of Home Affairs, Public Distribution and its Sub-Committee at Edible Oils and Sugar Department. He served these departments for the period of one year then he was re-elected to the 13thLokSabha for the same departments as that of earlier in the year 1999. In 14thLokSabha he was amember of Committee on Government Assurances. With the consistent record, he was elected again on15thLokSabha as a member on Committee of Transport, Tourism, and Culture.He was amemberofthis committee till 2014 and after that, he was re-elected to the 16thLokSabha from Gorakhpur constituency. Political Controversies: He has been the part of various controversies like political, ethical and religious. He was alleged for purification drive which involved the conversion of Christians to Hinduism in Uttar Pradesh. 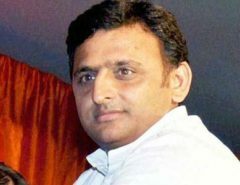 In 2007, he was restricted to visit the sites as thedispute has occurred between Hindu and Muslim people in Muharram in Gorakhpur. The inflammatory speeches made by him and his party workers spread thefire of intolerance between Muslim group so he was given a lot of restriction by the district Magistrate. He had been covered under thevariousoffense of Indian Penal Code. 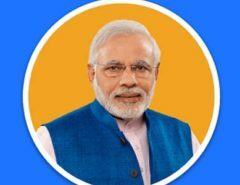 He had made a documentary film named Saffron War which promoted communal bitterness and it had become vital on social media. He has compared Shah Rukh Khan (Bollywood Actor) to the Pakistani Terrorist. In 2016, after the incident of Indian Air Force Base in Pathankot, Adityanath blamed Pakistan saying that “Satan (Devil) could change for betterment but Pakistan cannot”.